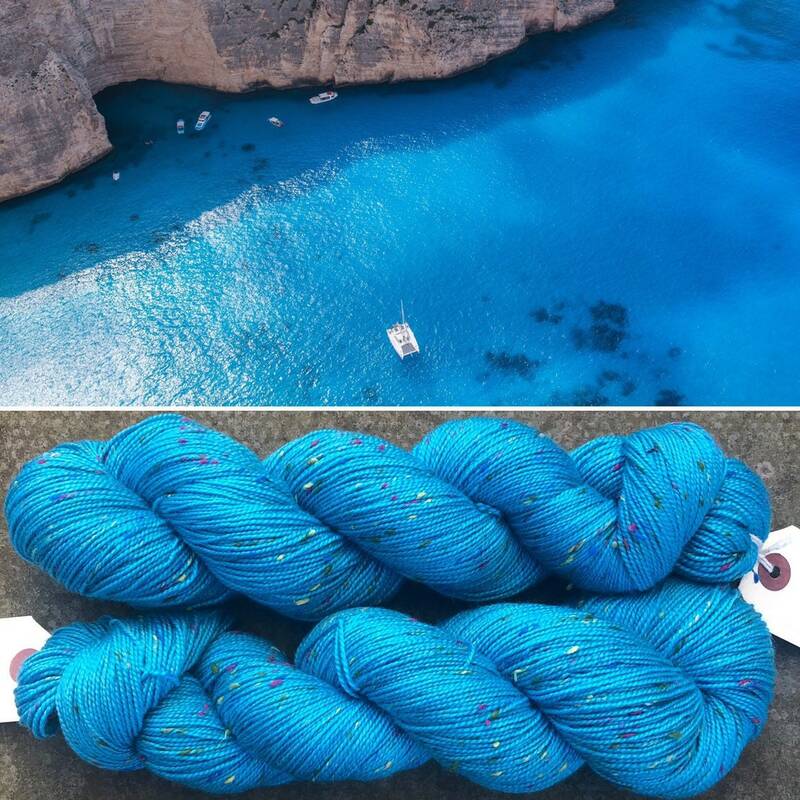 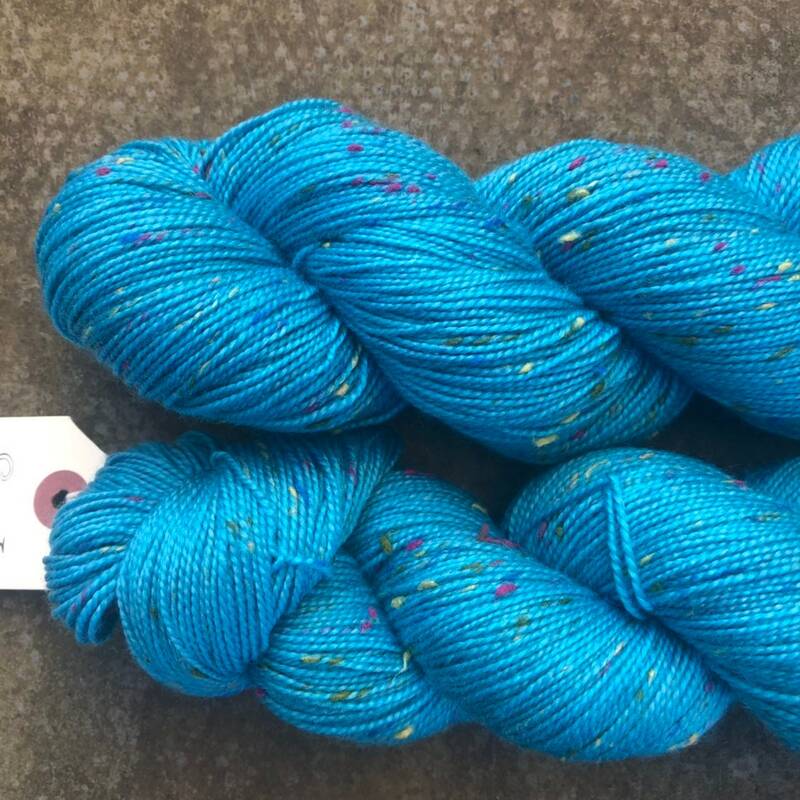 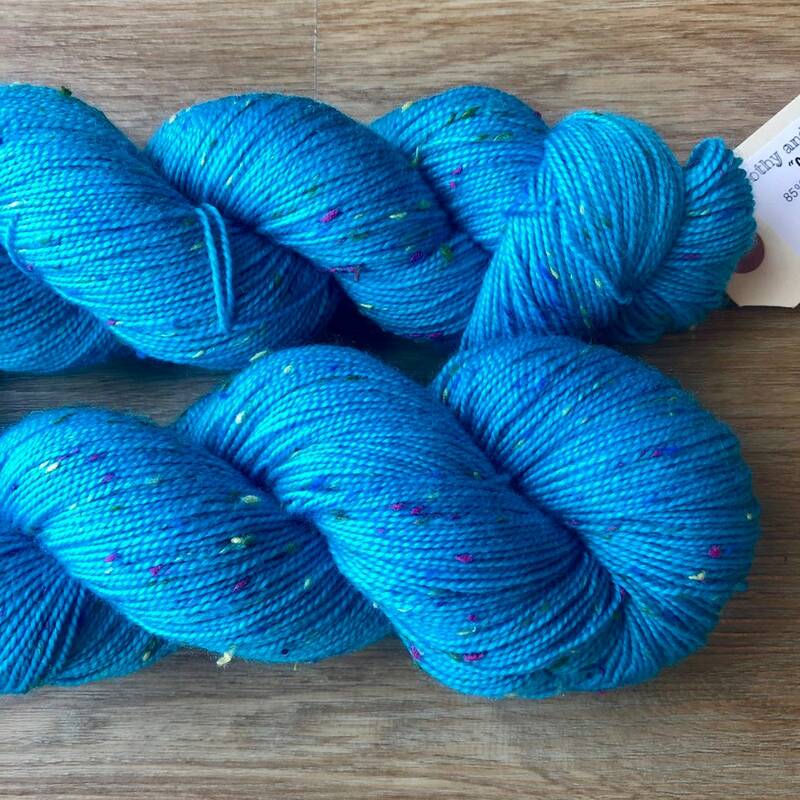 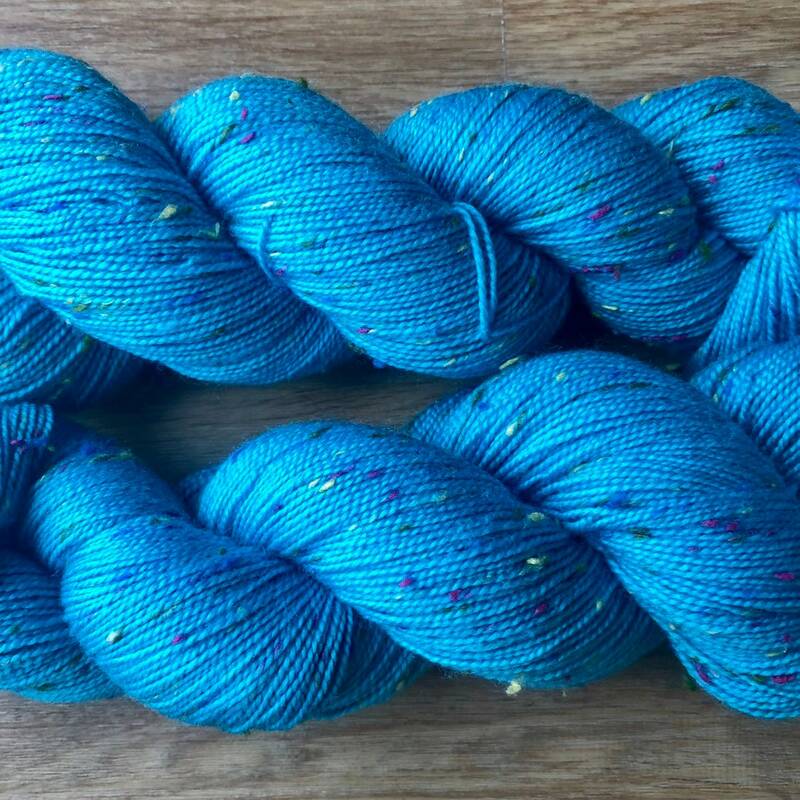 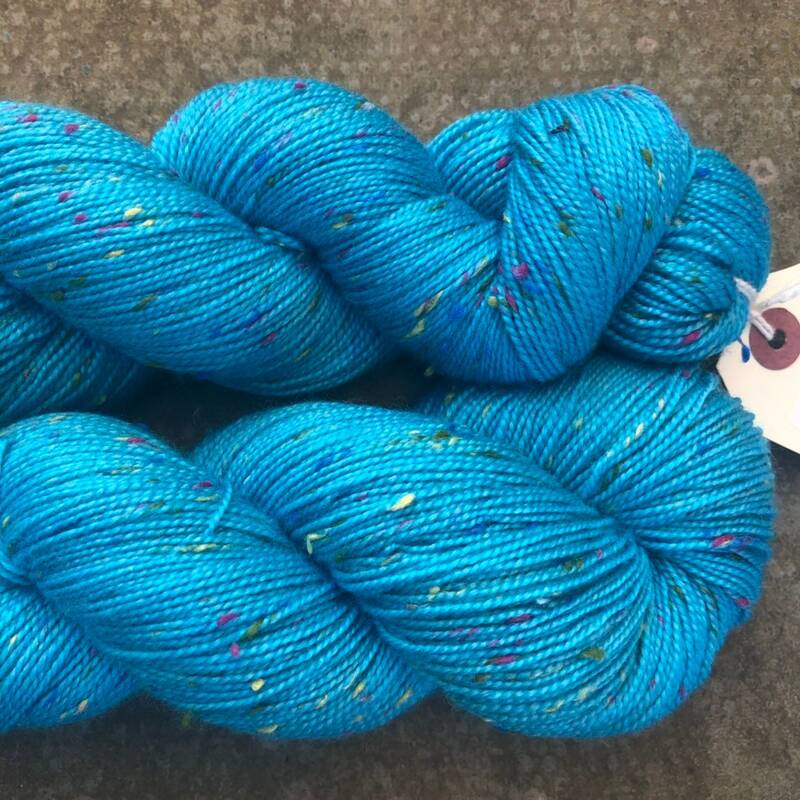 A beautiful solid turquoise blue, this yarn also has Donegal neps in a rainbow of colours. 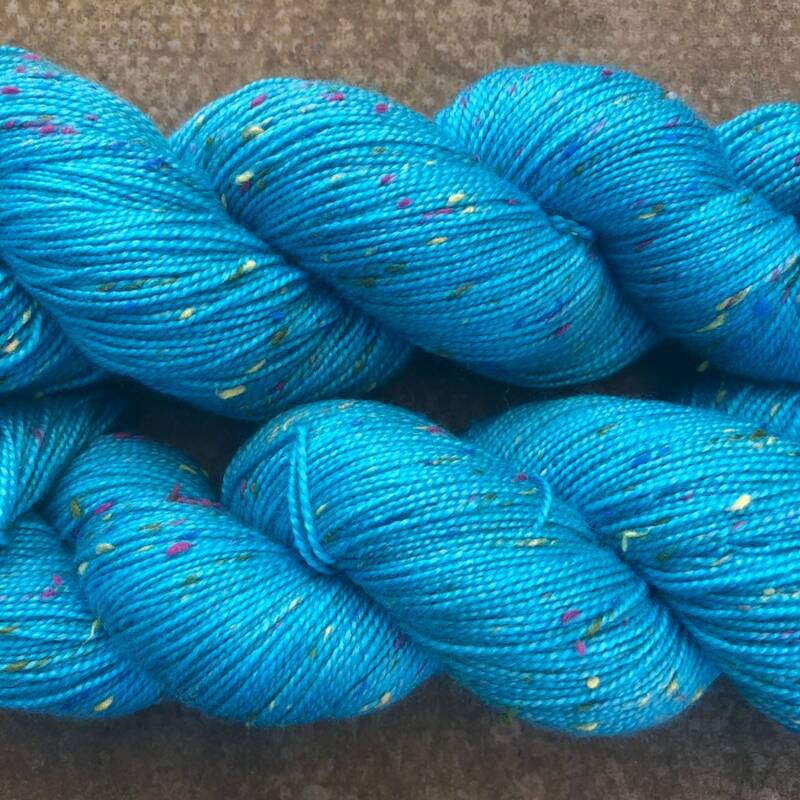 It is both soft and textured and creates beautiful finished objects. 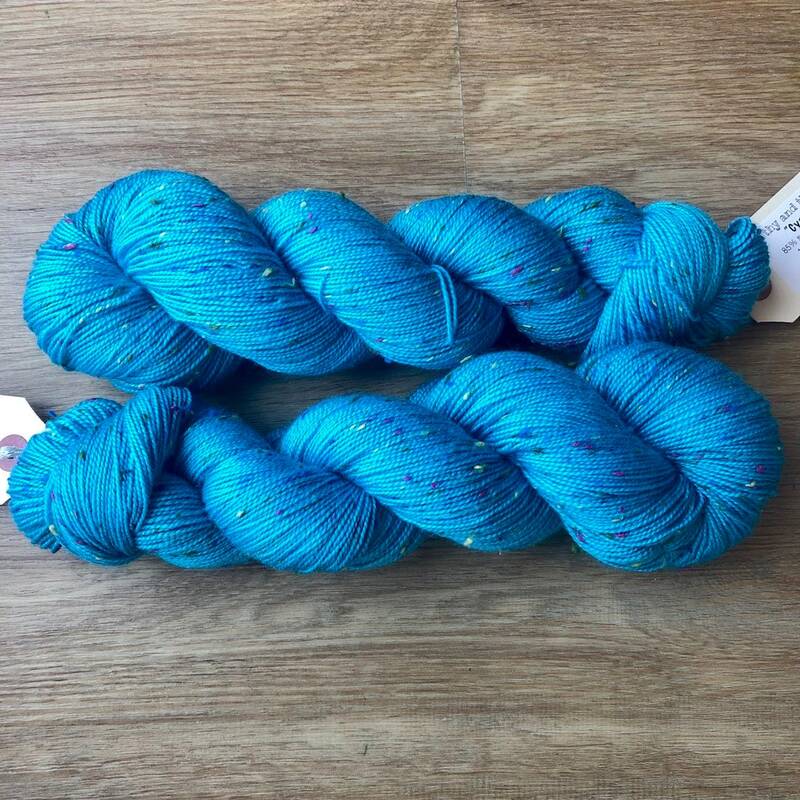 It is superwash treated 4ply sock yarn with 85% merino wool for softness and warmth and 15% Donegal nep for enhanced visual and tactile interest. 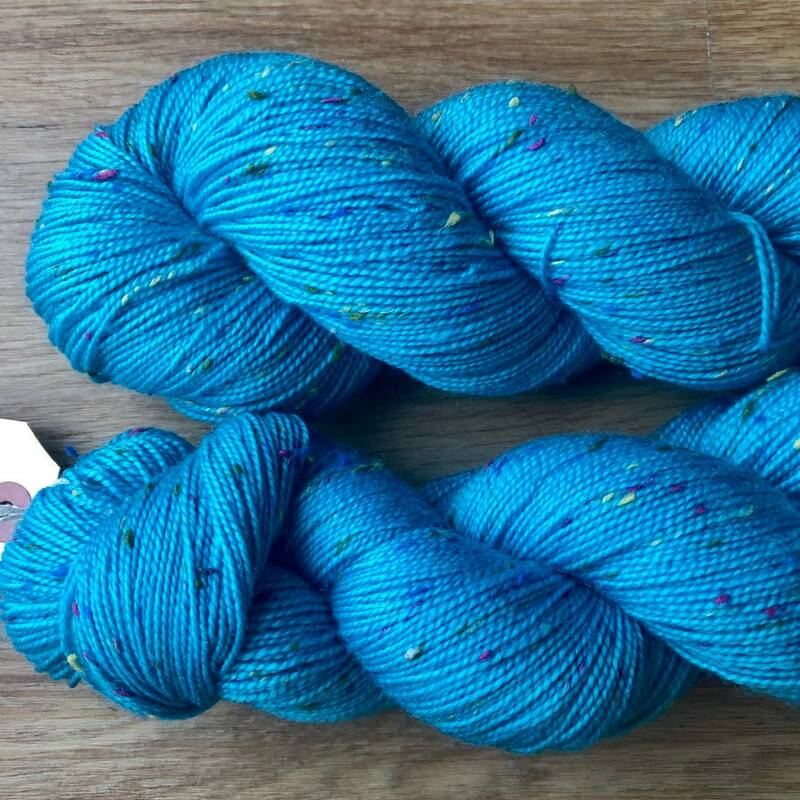 It is suitable for approximately 2-3mm needles. 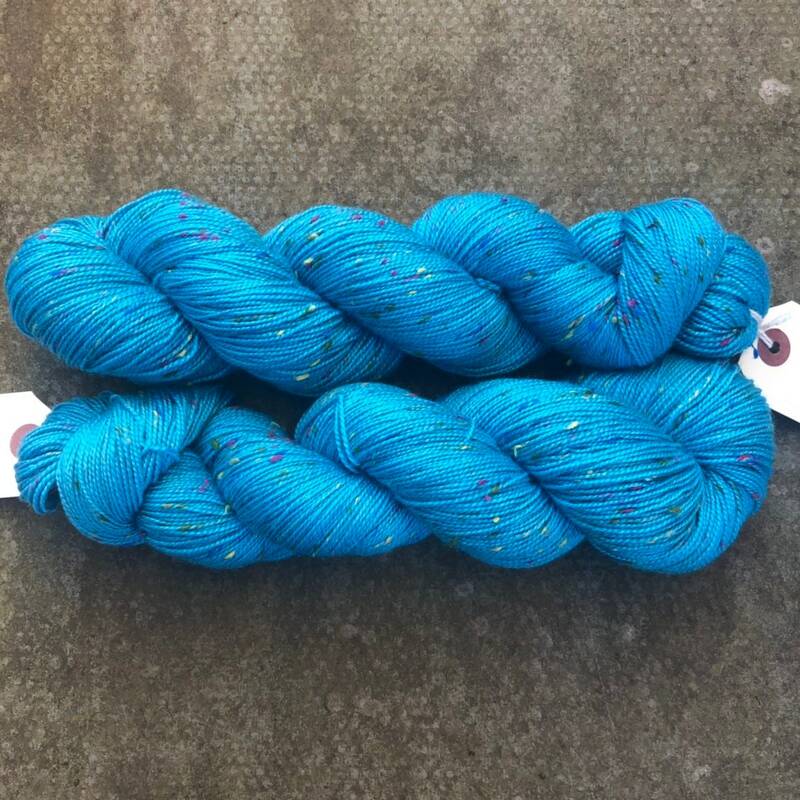 About 400 metres per 100g skein.